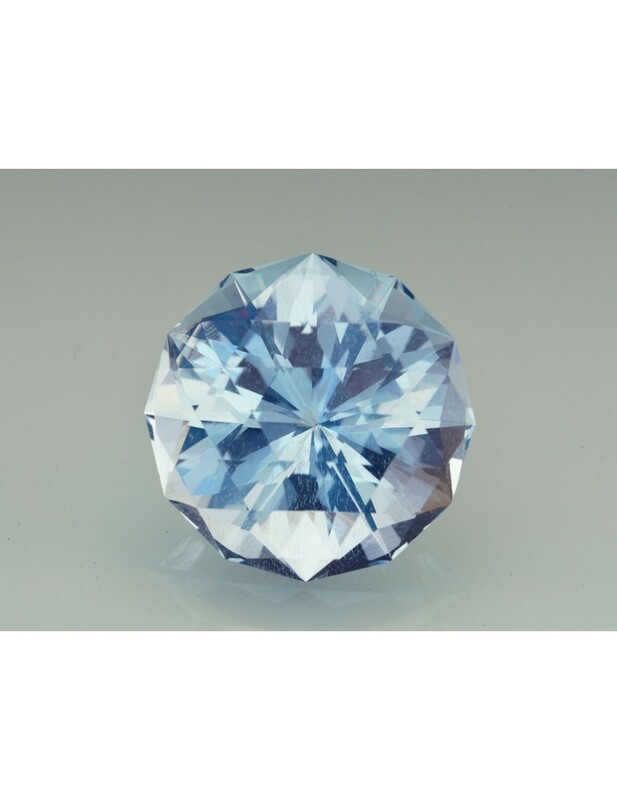 Notes: This stone is a medium light blue aquamarine with excellent brilliance. This beautiful complex design with a high facet count adds a tons of brilliance. 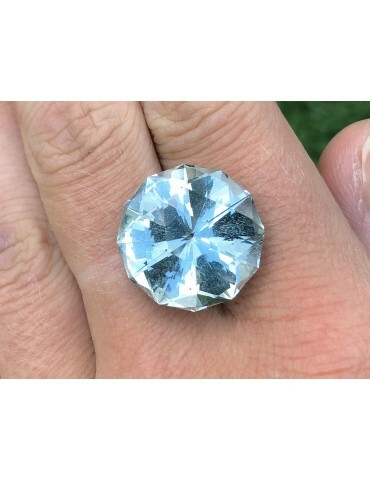 The stone was cut from yellowish green crystal and heated right here in store to a beautiful blue.